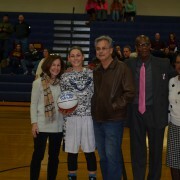 Rachel Lia reaches 1000 points mark for varsity basketball career. On February 3. 2015, Lafayette sophomore guard Rachel Lia scored her 1000 point, during the Rams victory over New Kent. Congratulation Rachel on an impressive accomplishment!! https://wjccschools.org/lhs/wp-content/uploads/sites/20/2015/02/Lia-005.jpg 2448 3696 Daniel Gotthardt https://wjccschools.org/lhs/wp-content/uploads/sites/20/2017/10/Lafayette-High-School.png Daniel Gotthardt2015-02-27 11:22:422015-02-27 11:22:42Rachel Lia reaches 1000 points mark for varsity basketball career. Boys Basketball Declared Conference 25 Champions!! Due to schools closure and upcoming winter storm projections, Lafayette was declared Colonial Rivers Conference 25 Co-Champions. Which means they get a 1 seed into the 3A East Regional Tournament date, time, and opponent, to be determined. https://wjccschools.org/lhs/wp-content/uploads/sites/20/2015/02/Jamestown-127.jpg 544 615 Daniel Gotthardt https://wjccschools.org/lhs/wp-content/uploads/sites/20/2017/10/Lafayette-High-School.png Daniel Gotthardt2015-02-25 12:22:182015-02-27 11:05:25Boys Basketball Declared Conference 25 Champions!! 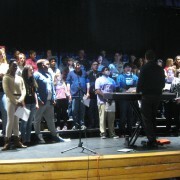 Mr. Rapach and the LHS Choir get ready for the Black History Month presentation. 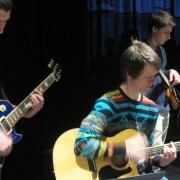 The guitar section warms up for the LHS choir presentation during the Black History Month assembly. Seniors – Heart to Heart Career Training Center will be here on Monday, March 9th from 10:00 â 11:00am to present medical training opportunities. Juniors are welcome to attend. Please see Ms. Adkins, Career Coach in room 622 for more information or to sign up. Seniors and Juniors – Morrison Education Center will be here Tuesday, March 17th from 10:00 â 11:00am to present career training opportunities in Dental Administration and Dental Assistant Programs. Please see Ms. Adkins, Career Coach in room 622 for more information or to sign up. The History on Film Club presents Mississippi Burning on Wednesday, February 25th at 2:30 in room 112. There will be a very important meeting today for all spring athletes in the gym starting at 2:45pm. All spring athletes are reminded that they must have a completed physical before they can start practice. Tryouts will start on Wednesday, February 25th. Lafayette team pictures for wrestling, swimming and basketball will be taken today in the gym. All athletes should be in the gym by 2:30pm. Attention all Field Hockey players – there will be an informational meeting Thursday, February 26th at 6:00pm in the lecture hall. All players & parents are encouraged to attend. Attention Spanish Honor Society Members – please sign up to tutor during AEP. The sign-up sheet is outside of office F-3. Gracias! Attention all student athletes interested in joining Outdoor Track there will be an informational meeting in the Upper Commons after school on Thursday, February 26th at 2:30pm. Hope to see you there! Seniors – Richard Bland College, the only junior college in Virginia and with campus dorms will offer on-site admissions Thursday, February 26th from 10:00 â 11:00 a.m., application fees will be waived. Please sign up with Ms. Adkins, Career Coach, room 622. The sign up book for all upcoming events is located on her door. There will be a very important meeting on Tuesday, February 24th for all spring athletes at 2:45pm in the gym. All spring athletes are reminded that they must have a completed physical before they can start practice. Tryouts will start on Wednesday, February 25th. Lafayette team pictures for wrestling, swimming and basketball will be taken Tuesday, February 24th in the gym. All athletes should be in the gym by 2:30pm. 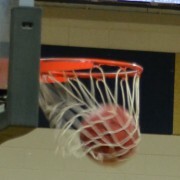 Tonight our girls’ basketball team will host Poquoson in a big Colonial Rivers Conference 25 semi-final game. The game will start at 6:00pm and the cost is $6.00. Our team needs the support of all Ram fans so come out and cheer our team on to a big victory. Attention LHS Book Club due to the snow days, our first meeting has been moved to Friday, February 27th, see you then. ASVAB Testing â students taking the ASVAB tomorrow please report to your 1st block and sign in with your teacher. After the Pledge of Allegiance report to lab 202, teachers will receive an email with your name. There will be no passes written. However, if school is delayed tomorrow the ASVAB will be rescheduled at a later date. There will be no Converge after school today. Sport Physicals At Lafayette Are Cancelled Due To Closure. Due to the school closure, Lafayette Athletic Training has cancelled their VHSL sport physicals. Remember all athletes must have a current (after May 1,2014) completed 2014-2015 VHSL sports physical before being allowed to try-out (No Exceptions). https://wjccschools.org/lhs/wp-content/uploads/sites/20/2017/10/Lafayette-High-School.png 0 0 Daniel Gotthardt https://wjccschools.org/lhs/wp-content/uploads/sites/20/2017/10/Lafayette-High-School.png Daniel Gotthardt2015-02-18 16:41:162015-03-30 08:21:27Sport Physicals At Lafayette Are Cancelled Due To Closure. 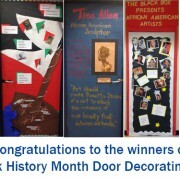 Congratulations to the winners of LHS’s Black History Month door decorating contest! Thanks to everyone who participated! Be sure to take a stroll around the school and check out all the entries. ASVAB Testing – The ASVAB will be administered Tuesday, February 24th at 7:30 a.m. in lab 202. Students interested in taking the ASVAB should sign up with Ms. Adkins, Career Coach in room 622. Please tour the school and look at everyone’s door. Each class did a great job. Mrs. Hopkins would like to thank each class that participated in the contest. LHS Forensics Team Conference Champions! Lafayette walked away with a 57 point win at the recent forensics conference meet at Park View High School. Second place Park View earned 17 points, while third place York garnered a total of 12 points. All Lafayette students won trophies and medals, and all will be moving onto the 3A regional meet which will be held at New Kent High School at the end of the month. 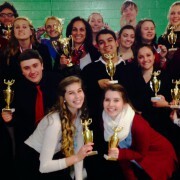 Congratulations to the Forensics team! https://wjccschools.org/lhs/wp-content/uploads/sites/20/2015/02/Forensics-fix1.jpg 1096 1943 Monica Schauffler https://wjccschools.org/lhs/wp-content/uploads/sites/20/2017/10/Lafayette-High-School.png Monica Schauffler2015-02-12 13:19:412015-02-12 13:19:41LHS Forensics Team Conference Champions!